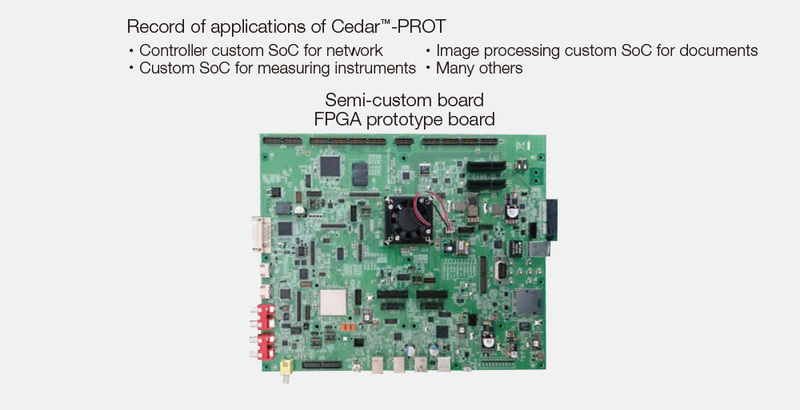 Prototype Board Development Service Cedar™-PROT | Socionext Inc. 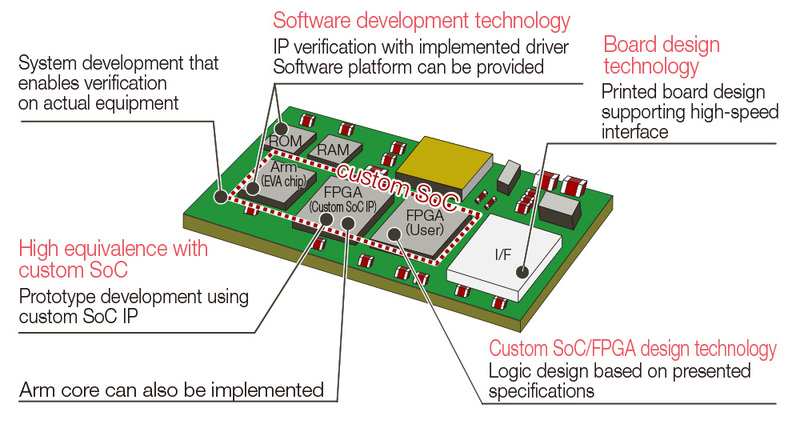 The prototype board development service provides a prototype board for system-level verification and advance development of software. By implementing an IP equivalent to the IP to be installed on the system on an FPGA, this service provides a board that is equivalent to the target system. Since we can perform system-level verification and advanced software development before the SoC is completed, you can improve its quality and shorten the development period.